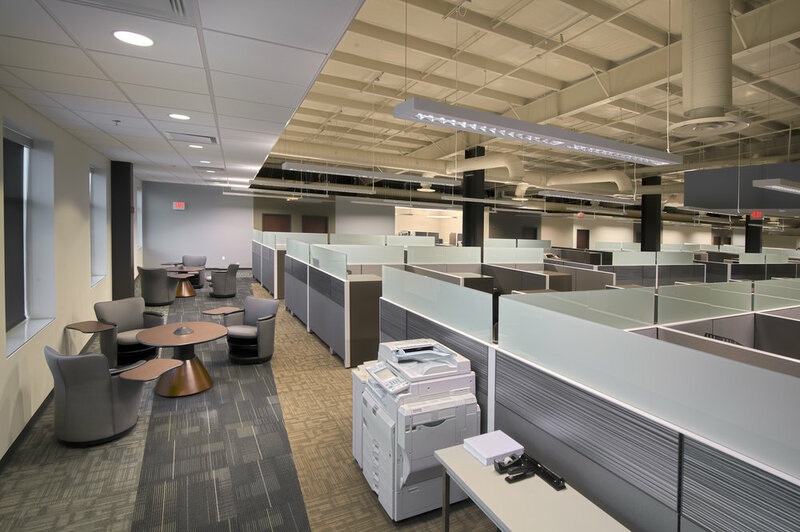 GWC Warranty's new headquarters occupies more than 16,000 square feet of space in the recently revitalized Coal Street Park Complex. 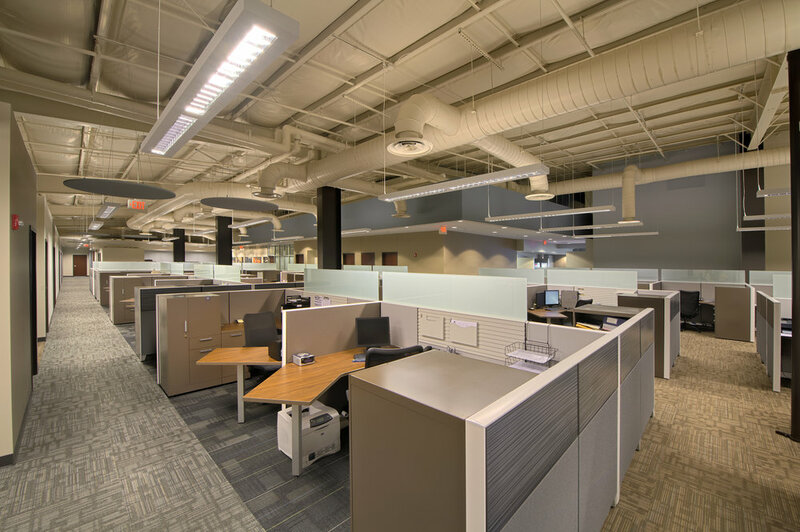 Housing the claims administration, contract processing, and executive offices, the design includes over 58 open office workstations; 12 private offices, an executive boardroom, and two conference rooms. 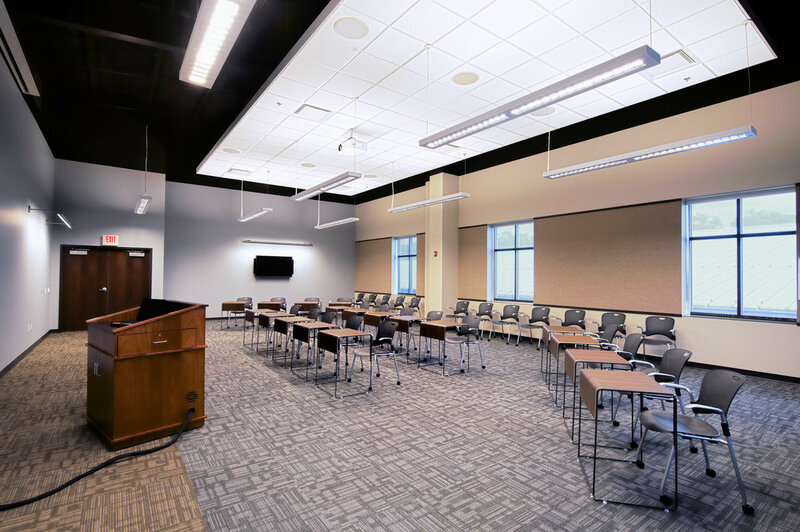 A 72-person training room provides the ability to host high-level training programs for partners and employees. 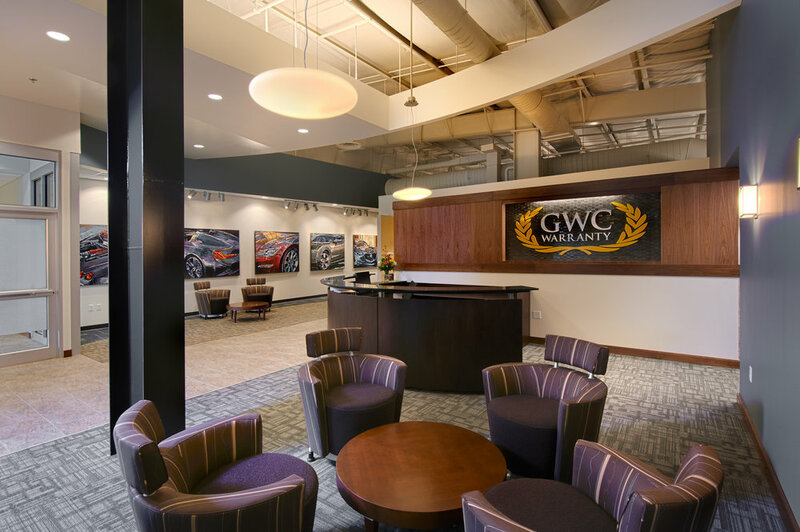 This state-of-the-art facility supports the fact that GWC runs a first-class operation from one of the most prime locations in the Northeast region. The interior design incorporates the Coal Street building and sloped roofline by exposing much of the existing structure and allowing all of the open office workstations to benefit from natural light. 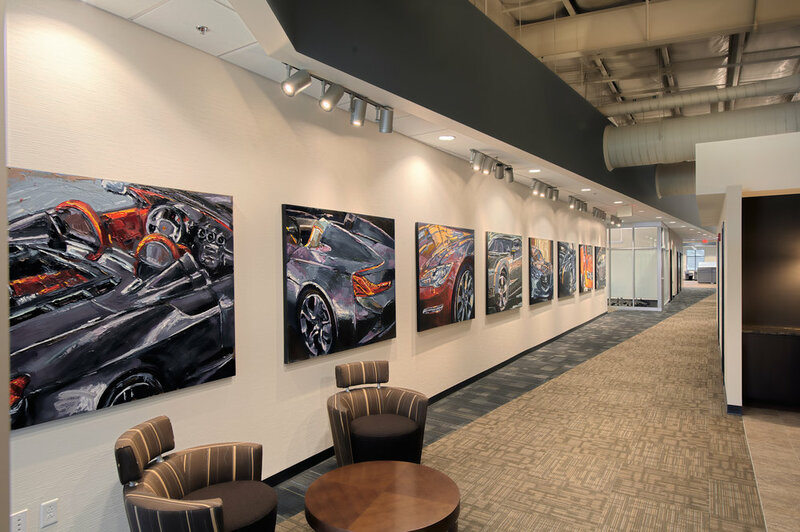 From the circular soffit and ceiling in the boardroom to the gallery space adjacent to the reception area that displays eight large-scale paintings designed specifically for the company, the artwork and design create a unique workspace that also pays tribute to the company's business—cars. 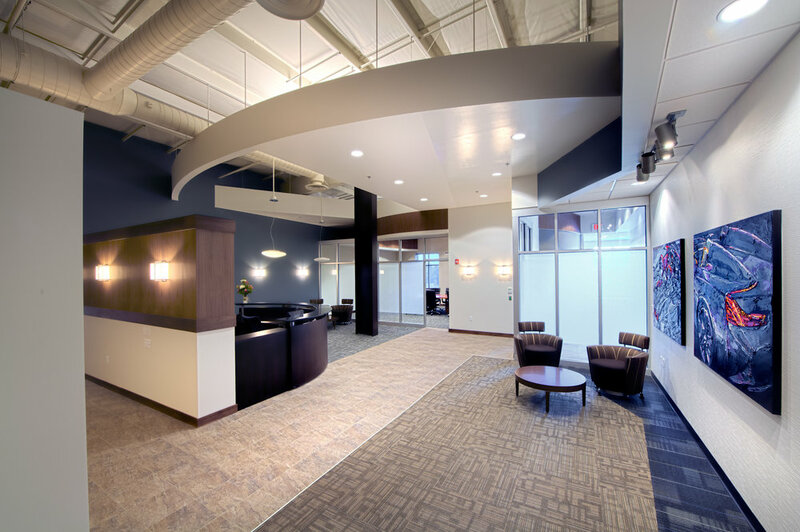 GWC Warranty's Headquarters was awarded the 2011 Pride of Place Award for Interior Design by the Wilkes-Barre Chamber of Commerce. The Pride of Place awards are designed to recognize and honor businesses, industries, and organizations that have improved the physical environment of the Greater Wilkes-Barre area.